Imagine having night vision, for your car. Well, this form of technology isn't anything new for human beings; however, we've always had a pretty big blind spot in terms of wildlife on the open road. I recently discovered this new form of technology on the PopularScience website that stated a new form of infrared car system technology that can spot wildlife on the road, as far as 500 feet away. 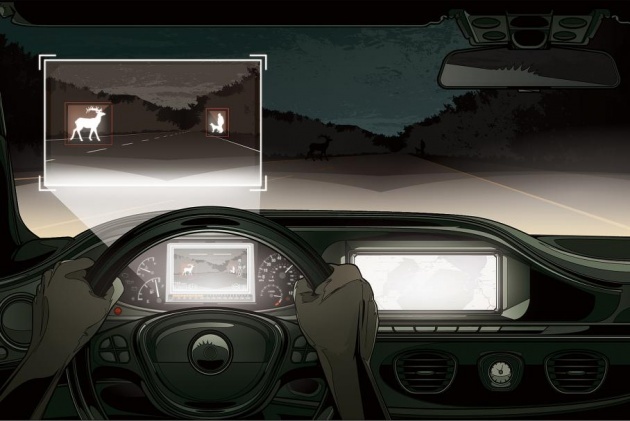 The in-car night-vision system can generally identify pedestrians approaching a road since, human beings basically have the same shape across the globe and move in similar directions, where the body shape rarely ever changes drastically. So, given the fact that drivers in the United States strike approximately one million deer over the course of a single year (that’s a lot of deer! ),which is equivalent to 27,000 human injuries and $3.5 billion in damages on an annual basis, we need help in overcoming this blind spot. 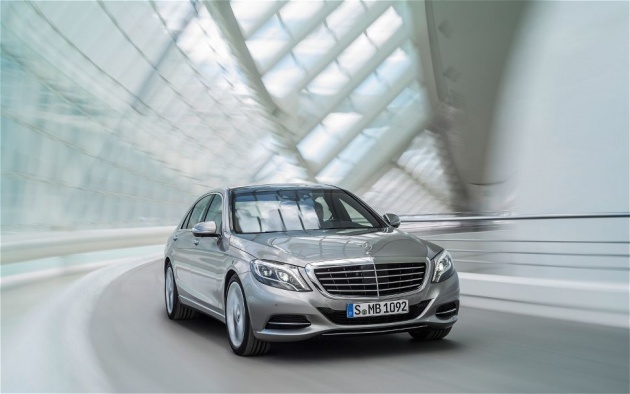 Thankfully, the Swedish safety system company known as, Autoliv and Mercedes-Benz are planning on releasing the new Nightview Assist Plus onto the 2014 S-Class vehicle from Mercedes-Benz. What I think we will all enjoy about this handy-dandy new gadget is that the system identifies cows, horses, deer, moose, camels, and even wild boar for any of you adventurers out there. For any of you guys interested in the tech specs behind this new system, the way that works is a thermal far-infrared camera scans for warm-blooded creatures located outside of the typical headlight range. In addition, a near-infrared camera on the windshield takes images of the open road, while a central control unit cross-references the data from both cameras to eliminate any false positives. So, should a deer or horse come running through the road,the system will illuminate what is ahead and highlight it on an in-dash display. Sounds pretty awesome doesn't it? Well, should the danger be imminent, the system sounds an alarm and precharges the brakes on the actual vehicle. 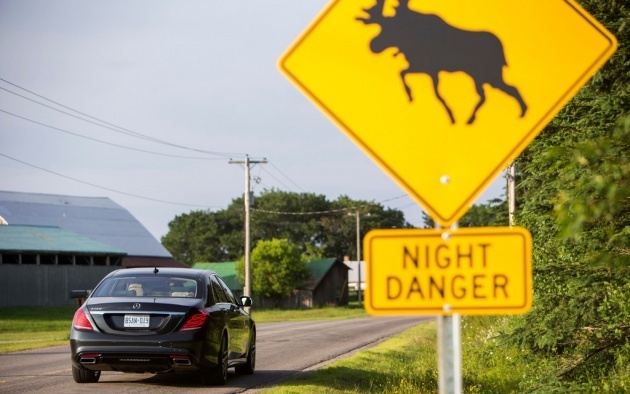 All in all, for those of you who are interested in improving your ability to see the road ahead of you and avoid any accidents with wild animals, make sure to consider the new 2014 Mercedes S-Class. Even though the price has not been disclosed yet, I'm sure it will cost a pretty penny.